Becky Miles-Polka serves as a trusted advisor to non-profit leaders, coalitions, funders, public and private sector leaders engaged in improving the well being of communities and the people who live in them. She brings experience in community change, population health and maternal-child health. Becky has worked closely with schools in the design and implementation of school based and school linked health services as well as connecting health and education partners to meet the needs of vulnerable children and families. Becky is a Senior Consultant to the Campaign for Grade Level Reading serving as the State Lead for Iowa and has provided leadership for the Campaign’s Healthy Readers Initiative and School Readiness focus area as a member of the senior leadership team. 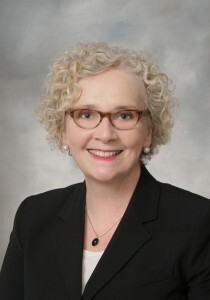 Previously, Becky served as the Executive Director of Healthy Communities at Iowa Health System in Des Moines, Iowa. She received her MS from the University of Colorado and is a Registered Nurse, Certified Nurse Midwife and registered yoga teacher.